Lined Seahorses inhabit the waters of the Atlantic Ocean, from Canada to the Caribbean islands. Like all seahorses, these fish have the ability to move their eyes independently of each other, which helps when they are preying on animals such as zooplankton, crustaceans and small mollusks for food. Lined seahorses are monogamous creatures. 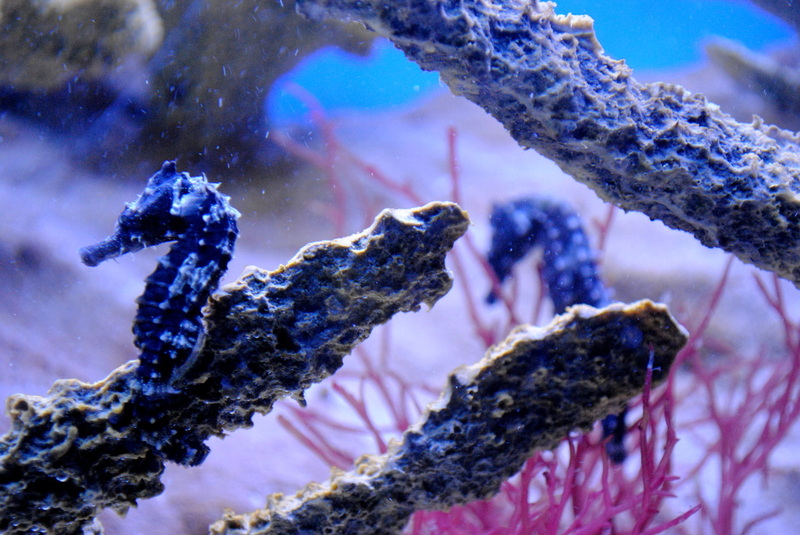 Once they form a bond with another seahorse, they preform ritual dances every morning to re-establish that bond.